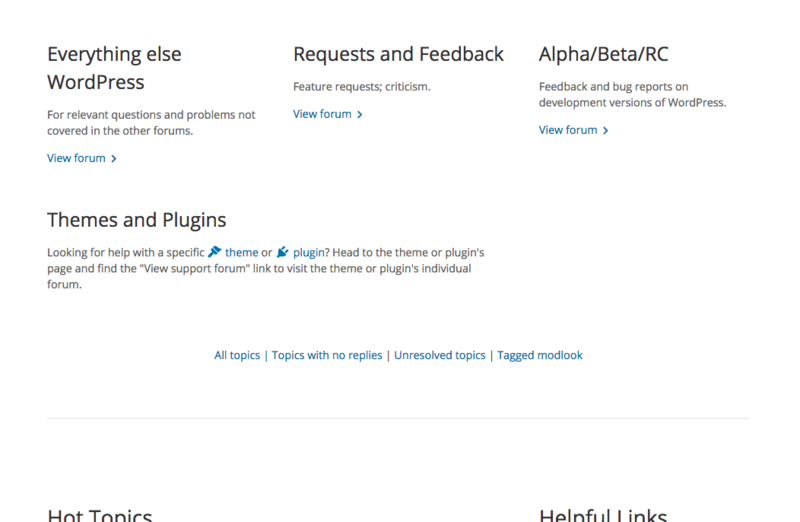 In the new wordpress.org/support layout, can we somehow guide users needing help with specific themes and plugin to those individual forums? 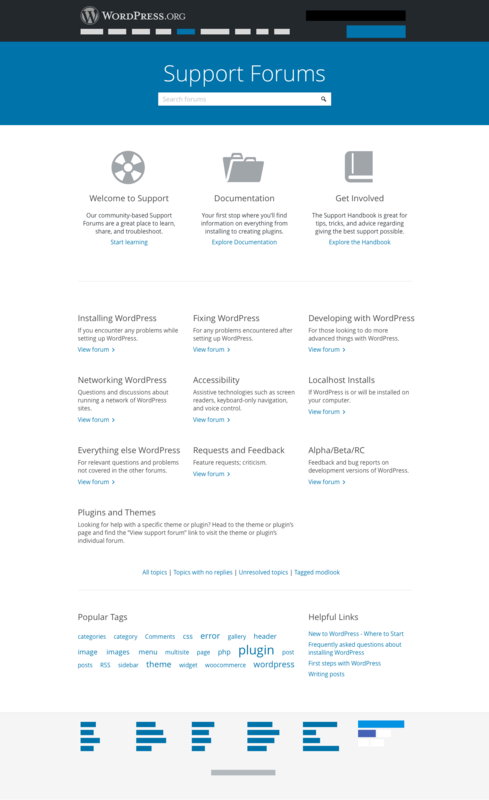 Users who aren't aware right now that each theme and plugin has its own forum wouldn't know where to post looking at the current homepage, and a lot of plugin and theme questions are ending up in random forums, like Fixing WordPress. Could we perhaps add a note at the top or bottom of the list of forums? It makes sense to me. Would you want direct links added to either? Seems like an easy win. @mapk: Can you work up a design here? The text in comment:0 looks good to me. No. We removed those intentionally. What was the exact reasoning for removing the direct links from support? @lukecavanagh I think it was because plugin & theme inquiries should go in the individual plugin & theme forums, instead of those catch-all forums, where the theme/plugin authors were unlikely to see them. On the plugin design update, a user has to scroll down the page before they can see View Support Forum, since the top level nav links have been moved to the sidebar. Even a button under Download for support would be handy. So a user does not have to scroll to find support on load. If you'd like to file a new ticket to propose a change to the plugin directory, feel free, but let's keep this ticket targeted on the support forum. That looks pretty good. We can always see how many plugin & theme questions we still get in other forums and think about a more prominent spot for it if it's still a substantial amount. What about also adding links to the plugin & theme repos from the words "theme" and "plugin" in the first sentence? Looks and sounds good to me. My only comment would be that we might want to incorporate the theme/plugin dashicons in somehow to help the section stand out as different from the forum list above. Good idea, @samuelsidler. Some visual differentiation would be helpful. I've got the code for this ready to go. Is this what everyone was thinking? There's been confusion for users about where to submit questions regarding specific themes and plugins, so I added a piece explaining this on the homepage. Support Theme: Internationalize the text added in .